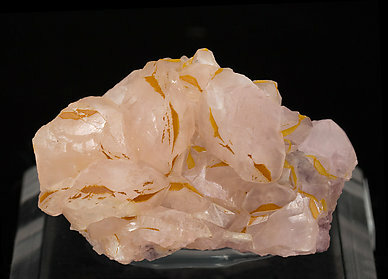 Group of rhombohedral Smithsonite crystals with curved faces and edges and a lenticular shape. 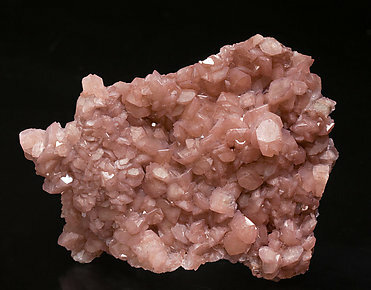 They are pale pink color and have very well defined brown inclusions of iron oxides on their edges. With a handwritten Sacco collection label, that we’ll send to the buyer. Druze of rhombohedral crystals with curved faces and edges and a lenticular shape. 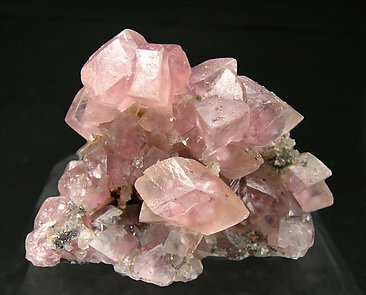 They are bright and have a very intense pink color and they are more aerial than usual for samples from Tsumeb. 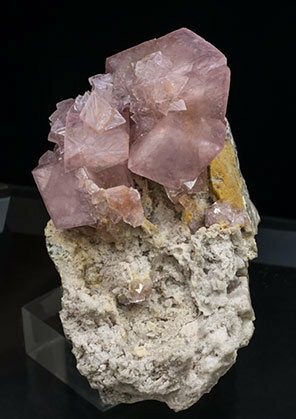 Aggregate, on matrix, of very well defined rhombohedral Smithsonite crystals. They are considerably large for the species and are translucent, bright and have an intense pink color. Aggregate on matrix of rhombohedral crystals with sharp faces and edges. They are very bright, more transparent than usual, and they have a deep pink color corresponding to the cobaltoan variety of this species. Aggregate of mainly rhombohedral crystals, on matrix, with very well defined faces and slightly curved edges. 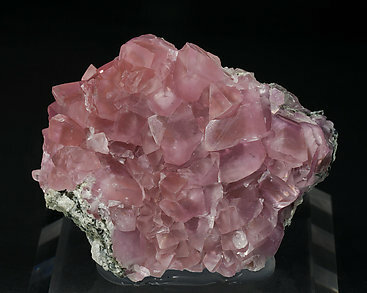 They are translucent and bright and have an unusually vivid, deep and uniform pink color. The sample is with a J.R. Jelks collection label that we will send to the buyer. 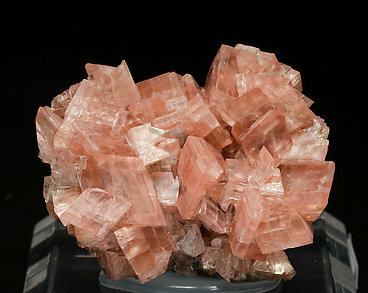 Very aerial and esthetic group of bright acute rhombohedral crystals with very well defined faces and edges. Their color, deep pink, is really excellent.